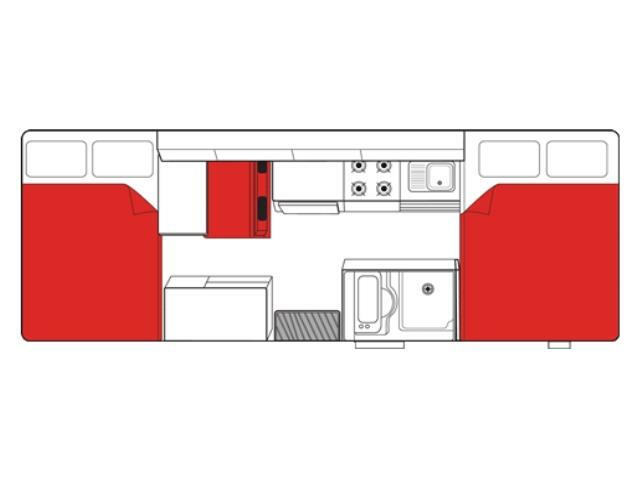 The Double Up is less a motorhome and more an inner city apartment on wheels. It's got a loo, shower and superior cooking facilities. Sleep 2 above the driver's cab and/or change the back from a dinning area into a double bed by piecing together the jigsaw puzzle. 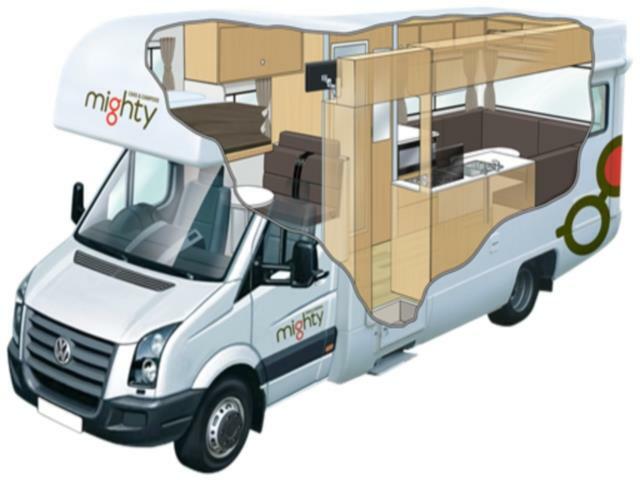 Superior motorhome facilities at a great price. Two child seats (three years and under) can be fitted to the rear forward facing seats with a baby bolt. OR two booster seats (minimum four years of age) can be fitted to the rear seats of this vehicle with a diagonal lap-sash belt or lap belt with additional harness, depending on vehicle model. Waste Water Tank : Holding tank for grey waste water generated from the shower and the kitchen sink. Disposable at camping grounds and dump sites. Holds 85 litres. Average of 14L/100km. This may vary subject to the use of air-conditioning, temperature and terrain. Campervan specifications may vary but will be suitable for the required number of persons and have similar specifications to those listed. 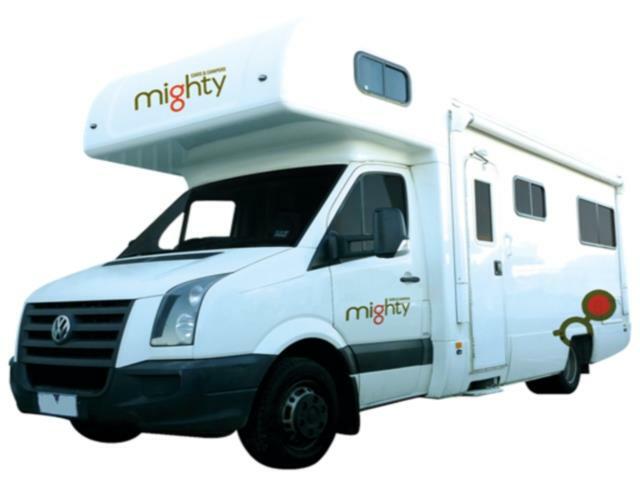 Specific campervan layouts, models/makes and transmission types can't be guaranteed.